BSI News: Flying Aviation Expo Invites Us Back to Palm Springs! Come View Today's Hottest Aviation Concept - The Triton. 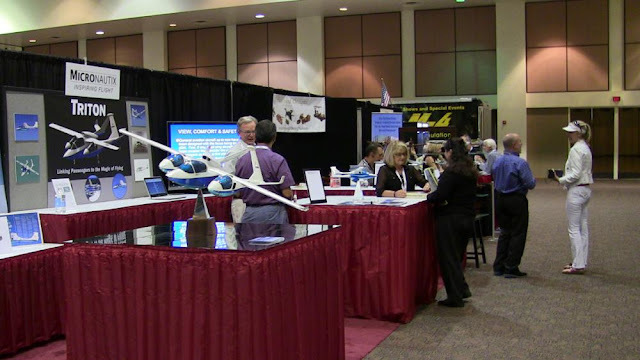 Flying Aviation Expo Invites Us Back to Palm Springs! Come View Today's Hottest Aviation Concept - The Triton. The Triton is an aircraft concept that prioritizes passenger comfort, view and their trust in safely experiencing the magic of flight. This magical 4-6 place Flight Experience Aircraft is powered by a Rolls-Royce M250-B17F/2 turboprop. The amazing passenger pod configuration gives passengers an spectacular 180° view, like that of a fighter jet pilot. Please visit us at Flying Aviation Expo in Palm Springs, CA – October 15-17, 2015.